Is Cucumber A Fruit Or A Vegetable? The Answer Is Really Surprising! What do you think about the question, “Is cucumber a fruit?” Undoubtedly, all vegetables and fruits are great additions to a healthy diet. But, there are times when it is really hard to categorize some produces. Under this category, we have tomatoes, avocados, and cucumbers. Despite this very fact, we generally call cucumbers as vegetables. So, is a cucumber a fruit or a vegetable? Let’s take a look at various aspects that form the accurate answer for this question. Is A Cucumber A Fruit Or A Vegetable? How To Sort Between Fruit Vs. Vegetable? Can We Use Cucumbers as Fruits? What Are Different Types Of Cucumbers? How Can We Look for Good Cucumbers? How Can We Keep Cucumbers Fresh? How Long Will Cukes Last In The Fridge? How Do We Prepare Cucumbers For Eating? Do Cats Care If Cucumbers Are Fruits Or Vegetables? Is There Any Risk Involved in Eating Cucumbers? Most people are struggling with this question “Is a cucumber a fruit or a vegetable?” The simple answer is why we even care about this! Still, from where this confusion comes from is what you need to know. A “Vegetable” is a collective term to refer to other edible parts of a plant. When it comes to cucumbers, we just eat the fruit of the plant. Here, this confusion comes into play. So, is cucumber a fruit or vegetable? The answer varies based on your perspective of looking into this discussion. Look below for different points of view like horticultural, cultural, culinary, and botanical. The debate between what refers to as a vegetable or a fruit is going on for a long time. In botanical terms, a fruit is something that bears a seed structure. This part emerges from the flowering plant’s ovary. On the other hand, a vegetable comprises of all other parts of a plant such as leaves, stems, roots, etc. In this sense, pea pods, beans, corn, avocados, peppers, olives, tomatoes, sunflower seeds, nuts, and cucumbers all are technically fruits. Cucumbers are highly packed with nutrients, several plant compounds, and antioxidants. They may prevent and treat some health conditions. Learn more about the health benefits of eating a cucumber! Cucumbers are known to reduce weight effectively in several ways. The first important thing about cucumbers is that they have significant lower levels of calories. One cup of 104 grams comprises 16 calories while an entire cucumber of 300 grams has just 45 calories. Cucumbers contain several minerals and vitamins. They constitute high amounts of water as they are made up of water by 96%. To get maximum benefits out of cucumbers, one should eat them with their peels on. The act of peeling cucumbers cuts down the amounts of fiber, minerals, and vitamins. Cucumbers help to lower down blood sugar levels. They are even known to prevent complications related to diabetes. Cukes effectively control and reduce sugar levels. If you supplement your diet with cucumber peel extract, there can be seen reverse changes associated with diabetes. However, additional research is required. These facts are based on animal and test tube studies. Vegetables and fruits are also a good source of water. If you intake cucumbers, you may improve the hydration status in your body. As stated above, cucumbers are formed about 96% water. Hence, they effectively promote hydration and help you in meeting the daily fluid needs. Consuming cucumbers help in supporting regular bowel movements. Constipation happens because of dehydration, which alters the water balance in the body. Cukes have fiber that helps to regulate bowel movements. Cucumbers are highly rich in antioxidants, which may reduce the risk of various types of chronic illness. Compounds like tannins and flavonoids present in cucumbers are quite effective in blocking harmful free radicals. Intake of Vitamin K has been always associated with good and healthy bones. Healthy bones have less likelihood of fracture. One cup full of cucumber offers 8.5 micrograms of Vitamin K. It even carries calcium. Both of these nutrients enhance bone health. Cucumbers are known to have anti-inflammatory benefits. One can use cucumbers directly on the skin to experience soothing and cooling effects. Cukes decrease irritation, inflammation, and swelling. They even alleviate sunburn. To get rid of morning puffiness, place sliced cucumbers on eyes. One can even opt for homemade face packs and toners of cucumbers. To prepare a face pack, you need to mix equal amounts of yogurt and cucumber juice. It effectively reduces blackheads and dry skin. For toner, you need to blend and sieve cucumbers to make the juice. Apply this natural toner on the skin for 30 minutes and rinse. It helps to clear pores and comprises astringent properties. Yes, cucumbers are fruits. Most people think of cucumbers as vegetables but that’s not what they are. According to the scientific definition, a cucumber is a kind of fruit. In botany, flowering plants reproduce because of fruits. Here, fruits emerge within the flower from the ovary. These fruits are even responsible for housing the seeds, which will rise into new plants. On the other hand, a vegetable is a broader term for other parts of the plant. These parts include roots, stems, and leaves. Cucumbers emerge from flowers and comprise lots of seeds to cultivating future generations of cukes. That’s what makes cucumbers “fruits” and not “vegetables”. Definitely, you can use cucumbers as fruits. Because of the mild flavors, cucumbers can be consumed as other watery and light fruits like watermelon. For a healthy change, you can serve your kids with cucumber ice cream. Click here to watch this interesting and simple ice cream! Some vegetables and fruits like potatoes and mangoes are really easy to classify while others leave us perplexed. There are various reasons behind this confusion, which ranges from vocabulary usage and culture to culinary custom and botanical identity. So, read the following aspects to learn more about cucumbers. In botanical terms, a vegetable usually refers to parts of a plant that are edible. These safe-for-eating parts do not take part in plant reproduction. On the other hand, a fruit indicates that part of a plant, which results from pollination or flowering. This categorizes cucumbers as fruits. In botany, every non-seed-bearing part of plants that one can eat is considered to be a vegetable. These parts include stems, leaves, flowers, and roots. If a part develops from flowers and comprises seeds, it is a fruit. In this sense, a cucumber is a fruit. When it comes to cucumbers, you have to take culinary custom into consideration. Cucumbers are usually referred to as vegetables in western culture. Not just that, but westerners treats cucumbers as veggies at the dinner table or in the kitchen. In markets, people sell them as vegetables. So, from a culinary perspective, a cucumber is a vegetable. When produce is eaten along with the main course, it is usually referred to as a vegetable. If produce is eaten as a dessert or subsequent to the meal, it is considered a fruit. Generally, people eat cucumbers as a salad or side dish during the meal. Therefore, a cucumber is a vegetable in terms of culinary culture. As per the horticultural production, the produce from a perennial or woody plant is called a fruit while the produce from an annual or herbaceous plant is referred to as vegetables. Here, a herbaceous plant is the one with tender stems, which dies back annually. However, a woody plant is a perennial having durable and stiff stems, which return every year. From the horticultural point of view, a cucumber is a vegetable and an apple is a fruit. Cucumbers offer such an appetizing texture and taste, which makes them great for snacks. They even act as nice additions to a wide range of fresh vegetable dishes. Garden-fresh and crisp cucumbers taste delicious in sandwiches, salads, or other such dishes. This makes it easy to sense why these watermelon-like tasty culinary vegetables are always viewed as fruits. Cucumbers can be categorized on the basis of our perceptions. It entirely depends on the way one culturally refers to cucumbers and hence, discusses them. You may find some botany sticklers, who proclaim cucumbers’ fruity nature while the immense majority of the population uses, refers, and thinks of cukes as vegetables. According to botanical phrases, a fruit contains seeds. This is the case if you cut open a standard American picking or slicing cucumber. At the same time, there are some varieties of cucumbers like English cucumbers, which do not have seeds. To clear facts, the lack of seeds does not indicate that cucumbers are not fruits. As per Scientific American, it indicates that growers have originated a way to cultivate the produce without fertilization. This very process is referred to as parthenocarpy. Naturally, the process takes place in several fruits like pineapples and bananas. Now, cultivators stimulate this process in other varieties such as squash, watermelons, and cucumbers. Hence, seedless cucumbers can still be fruits technically. In the end, it comes out that cucumbers are vegetables having clothing of fruits. Botanists can easily call cucumbers fruits, whereas cooks see them as vegetables. European or English cucumbers are common varieties of cucumbers. These cucumbers can be easily found in local supermarkets. English cucumbers are best for slicing purposes. Usually, these cucumbers are commonly referred to as hothouses. These cucumbers are bumpy, short, and squat in appearance. Pickling cucumbers are of pale green color as compared to other varieties of cucumbers, which are meant for raw servings at the dinner table. Still, fresh pickling cucumbers are great to eat during summers. 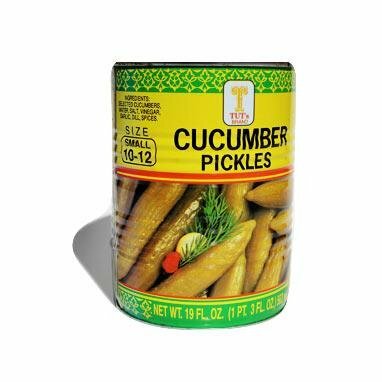 If you like to enjoy pickle all year round, the varieties of cucumbers such as Snake or Armenian cucumbers and Kirby cucumbers are ideal for that purpose. There are various varieties available for slicing cucumbers. These slicing cucumbers are excellent for you if you love to eat them fresh. They are usually smoother, longer, and darker in color than other cucumber varieties available for pickling. These varieties of cucumbers include lemon cucumbers, Kirby cucumbers, Japanese cucumbers, and Persian cucumbers. There is no rocket science involved in choosing good cucumbers. As you know, “cucumber” and “coolness” go hand in hand. In local supermarkets, cucumbers need to be kept chilled all the time. If heading for outdoor markets, always go for cucumbers flaunted in the shade. To have good cucumbers, you need to choose symmetrical, plump, and smooth ones. Cucumbers having a dark green color with a firm and slender texture offer the best and great taste. At the same time, you should know what not to choose. Avoid buying cucumbers with looks like withered, bruised, bloated, or withered. Do not fall for overripe cucumbers as these cukes consist of large seeds, watery flesh, and awful taste. In order to keep cucumbers fresh, you need to put them straightaway in the fridge after coming home from the local market. Make sure you do not wash or peel cucumbers unless they are full of dirt on their skin. If you feel like washing cucumbers anyway, wipe them completely dry prior to storing them in a refrigerator. In case, you got lots of cucumbers from the market, keep in mind not to overcrowd them. For this, just wrap each cucumber individually in a tea or paper towel before arranging them in the veggie drawer. This act will prevent your cucumbers from decay and bruising. Eventually, it will keep your cucumbers fresh for a longer period of time. Cucumbers from the supermarket generally come with a wax coating on top. These cucumbers last up to a week if kept in the refrigerator. Meanwhile, fresh produce from the garden does not have this wax coating. Hence, these cucumbers would not last long as compared to the other ones. It is better to use these cucumbers within a span of two or three days. If you like to store spare peeled cucumbers, wrap or cover these cukes with a plastic wrap tightly. Once done, store these wrapped cucumbers on the top cooler shelf of your refrigerator. Try to use these stored cucumbers within a few days. European cucumbers comprise softer peels than other varieties. Supermarket cucumbers come with a wax covering. Hence, remove peels before consuming these cucumbers. One can eat fresh cucumbers from the garden with peels on. To prepare cucumbers, you can follow with cucumber salad or cooked cucumbers. Read recipes for both of these dishes below! Take a few cups of sliced cucumbers along with one cup of sliced red onion. Toss them together and prepare a salad dressing of 50/50 water and white vinegar. Grab a tablespoon of sugar. Take 1/3 of a teaspoon of both thickly ground black pepper and dill weed. Now, pour down the dressing over onions and cucumbers. Toss all ingredients together and refrigerate it for a while. Next, add salt for taste. One can even put in other flavorings and herbs, which turn out well with cool cucumbers. These ingredients include tarragon, mint, lemon, and red pepper. Most of the people like their cucumbers to be cooked. The light flavoring of cucumbers complements well heavier dishes of meat. In some places, cucumbers play well with dishes like venison. To prepare a simple cooked cucumber dish, have a look below! Take a few cucumbers, peel them, and dice them roughly. Sautee these diced cucumbers lightly for just 5 minutes on the stovetop in butter. For seasoning, opt for dill, parsley, or salt for taste. Cucumbers are consumed best when raw. For this, you can combine them with sliced turkey or cheese in a sandwich. You can even go for cucumber juice for a healthy and refreshing drink. To prepare a bowl of soup, you can puree green peppers, onions, and tomatoes along with cucumbers. For a side dish, you can mix feta cheese, olives, tomatoes, and sliced cucumbers. Or just jazz up the regular water with cucumbers and mint leaves. Whether cucumbers are fruits or vegetables, it is entirely irrelevant as long as cats are concerned. Cats feel alarmed when you keep cucumbers around them. Your feline friends do not care about whether cucumbers are vegetables or fruits. When you sneak cucumbers behind cats without making noise, cats tend to feel scared. They think of cucumbers as a predator in the form of snakes. If you do not own a cat, you may not aware of this fact. There are several videos on the internet, which clearly show cats are scared of cucumbers. On seeing a cucumber, cats freak out and leap in the air out of utter shock. Just tap on the link below and you will know what I am talking about here! Most of the people could not think why cats exhibit a strong reaction like this on seeing a green object. It turns out that this is not about cucumbers but anything that sneaking behind cats. Cats usually eat when they feel they are not under any physical threat. After seeing an unexpected cucumber while they are eating with their heads down to the bowl, cats tend to freak out. On the other hand, cats may associate green cucumbers with snakes. Cats are afraid of these deadly predators that attack them. That’s the other reason behind their sudden reaction towards cucumbers. Along with benefits, there are also side effects of eating too many cucumbers. Cucumbers comprise toxins like tetracyclic triterpenoids and cucurbitacins, which could be life-threatening if consumed beyond moderation. Cukes contain cucurbitacin that triggers indigestion in several people with a sensitive digestive system. People who are suffering from sinusitis or other chronic respiratory conditions should stay away from cucumbers. It is believed that vegetables with cooling effects cause such conditions. Cukes are not good for allergic human beings, who are allergic to melons, bananas, ragweed pollen, sunflower seeds, and chamomile tea. Therefore, it is advised to eat cucumbers in moderation. Just eat a small cucumber a day and not more than that. The best way is to consume cucumbers as a side dish at the dinner table. Otherwise, you know excess of everything is bad. In the end, it does not matter whether we call a cucumber a vegetable or a fruit. Here, you just need to focus on the health benefits of cucumbers. “Is cucumber a fruit” or “Is cucumber a vegetable” have various different points of view. Cucumbers are technically fruits but for most of the people out there, cucumbers are vegetables. So, keep on eating a cucumber without caring much of its genus. Now, you know the answer to “Is cucumber a fruit”! Share this incredible learning with your friends or other cucumber lovers. Do not forget to like this article if you enjoy reading this. If you have any other additional information regarding cukes, share with us in the comment section below!